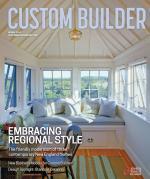 When our clients came to us to design and build their home, they had three children and another on the way. So it was understandable that their main goal was to create a family home where both children and adults would feel comfortable in all spaces. For us—with the help of talented interior design firm Kadlec Architecture + Design, in Chicago—this translated to smart storage solutions throughout the home that are both beautiful and functional. In the light-filled craft room and playroom, hand-painted built-in millwork provides storage for art and craft supplies and games. A large custom island has a low shelf for accessible basket storage. 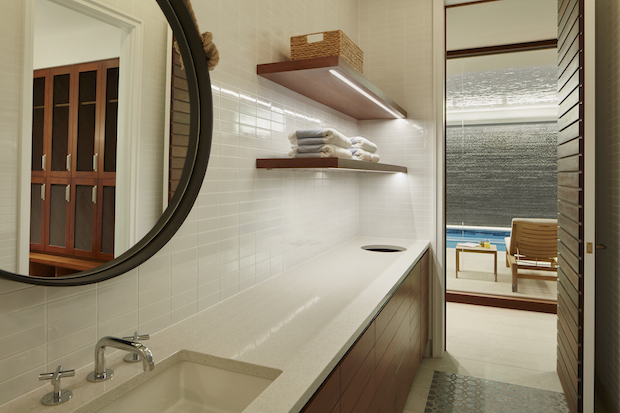 Adjacent to the pool, we designed a changing room with lockers so guests can store their belongings while they swim. The kids especially love this space—it’s like going on vacation without leaving home. This sophisticated mudroom—considered the home’s “nerve center”—has millwork cubbies for each child, a bench, and drawers for shoes. Every item has a designated place, keeping the room neat and organized. A personal touch: The homeowner commissioned a local artist to create the custom mural with inspirational quotes. Comments on: "Design Spotlight: Storage Solutions by Rodger Owen"